Actually I'm not sure if this is a lip balm or a lip gloss cos 'lip gloss' is written on the side of the tin o_O But I'll just stick to balm cos it's so moisturizing! 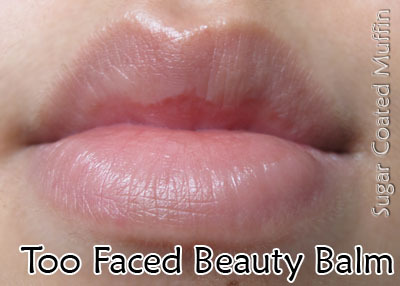 When my lips are feeling dry, I'll smear some on my lips then at night I'll apply a thick layer as an overnight treatment. When I wake up, my lips are so soft and hydrated! Even though it's grapefruit 'flavoured', it doesn't taste bitter like one =P Perhaps it's just the shade. 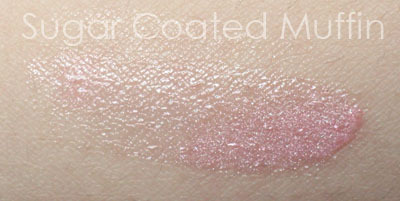 It's a lovely shimmery light pink <3 This balm is a bit sticky so if I wear it out, I only use a tiny bit. Instantly masks my lip lines and makes my lips look so much better. The shimmers are beautiful and it's glossy ^_^ My lips immediately feel more moisturized within an hour! I don't like the fact that it's in a tin though. I have to use a cotton swab every time and I find it wasteful =( Also, I can't bring it out to reapply unless I use my finger, which can get messy. I'm not sure if it's just me but I have difficulty opening this tin =_= The first time, it took me a few minutes and I gave it a few scratches =(! Oh gosh.. I hope Sephora in Starhill will have this! My conclusion : Love! So so moisturizing.. It totally saved my lips from drying out. ** Product was part of a giveaway prize. However, this has not affected my thoughts on the product in any way. Oh. My. Gosh. 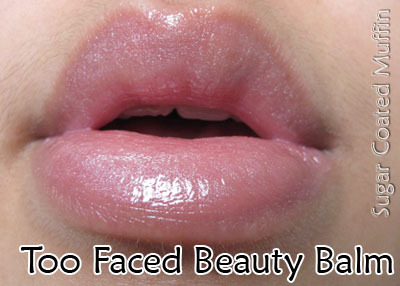 That is the prettiest gloss/balm I have ever seen. o.o <333 And it's moisturizing, too? One million bonus points. This is officially on my Want/Need list. Haha. xD! Yes, very very moisturizing.. If it were more convenient, I'll be wearing it all the time!